One particular day, I was walking around town with my camera, turned a corner around the back of a building, and there he was. As I approached, I held up my camera asking if I could take his photo. He unexpectedly motioned me towards him and communicated that I could snap shots of him. While doing so, I carried on in a short conversation with him, and remembered him telling me how he had once lived in Texas. The photographs I captured that day remain very valuable to me, and I have sporadically wondered about him, his life story, and how he got to where he is now. This time while in Kona, I took a day away from the beaches to walk around town with my camera. Old Man Ocean had been on my mind, and I wondered if he was still around. Just as soon as that thought came and went, I happened upon him. Astonished, I exclaimed, “Hey, Old Man Ocean! You let me take your photo five years ago…” He replied, “How much did you pay me to do so?” I answered back, “Nothing, you let me take your photo for free!” We exchanged a few more words, then parted ways. I immediately felt burdened with a strong desire to talk with him more, but felt awkward to just run up to him and start talking… so I followed him a bit, and got to a point where I caught up with him, and looked over and said, “Hello again!” This sparked our journey walking around town and exchanging stories. He shared with me stories of how he hears voices, and of one particular time when he was scuba diving off the coast of California, he heard a loud voice command him to stay out of the water. 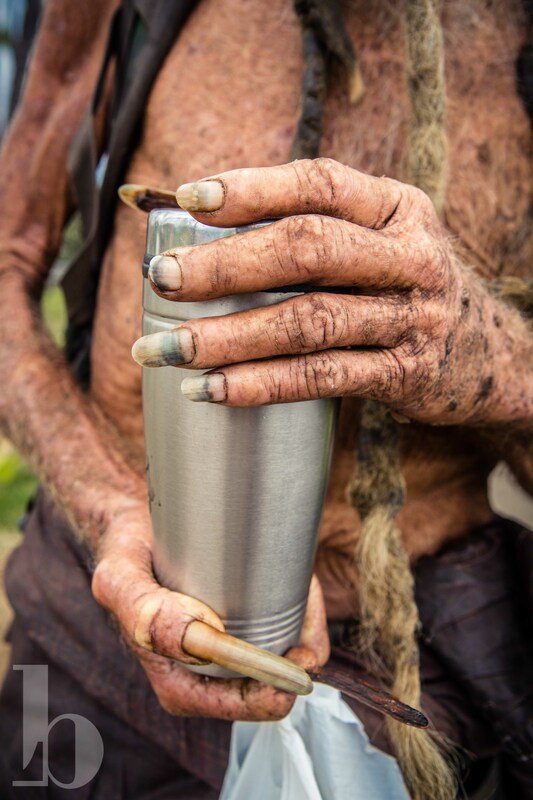 We talked more about water, and he informed me that we can all live without water… that it’s not really a necessity. We exchanged thoughts about marijuana after he asked my views on it. He also instructed me to always think positive thoughts and never allow negativity to come near me, and he shared how many people who come near him are full of negativity and he has nothing to do with them. His eyes… they are such a crystal clear blue. I affirmed to him that his eyes captivated me, and every time he smiled they would light up and twinkle. I followed with asking if it would be possible to capture more photos of him, and focus on his eyes. He agreed, so we walked to a spot where there weren’t as many people walking around. We neared upon a sweet lady, that for the life of me, I can’t remember her name, but her smile was warming and inviting. She waved and exclaimed, “Freddy!”, so we walked over to join her company. As I prepared settings on my camera, she lit up a joint and kindly asked if I smoked then proceeded to offer a drag. I politely declined, then informed that I was ready to take photos. Old Man Ocean started out playfully engaging with the camera with different poses, but then seemed to transition into being camera shy. He asked me as he pointed to his hair, “Do you know what I call these? What would you name them?” Nothing came to mind, “Uhhh…I’m not sure what I would name them… I just know them as dreadlocks…” “They are warlocks.” he educated me. He shared that many years ago a man came up to him with a knife and slashed him from his ear to across his face, and that the blood that gushed from his infliction is how his warlocks were birthed. At the end of our time spent together, the man I will continue to know and label as Old Man Ocean rested both his hands upon my shoulders, leaned in and gave me a kiss on the cheek goodbye, then wandered off idly roaming through town. Thank you for sharing this wonderful insight to this beautiful soul. thank you, Tammy… I learned from another comment on a different post that he was in failing health – is Freddy okay? Can you tell me his condition right now and if there’s anything I can do from afar? I am so sorry to inform you that Freddy passed away yesterday at Kona Hospital. It appears that one of photos is being used on on a Facebook post. Beautiful photos, nonetheless. What an intriguing human. Love your article! Thank you, Brooke. Can you link me to the FB post that it’s being used on?? Your photos are used in a West Hawaii Today article as well as on GoFundMe page. At this point, you may have already given permission. I did not give permission, but it’s all good. I saw the one on the West Hawaii Today online article – I would have given a much better quality photo for them to use though if they had asked me. Mahalo for this! You are blessed to have had these encounters. I always wanted to take pictures of him, but was too shy to ask. Good for you. Sending much love to you, Freddy. Is Freddy okay? Can you give me more information about his condition and what’s going on? Is there anything I can do to help (from afar)? I’m feeling sad to know he is not doing well and have hoped since I saw him in 2013 that I could see him again. I feel quite privileged and honoured to have gotten to spend time talking with him and hearing some of his stories, and that he was open and willing for me to capture his portrait not just once, but two different times. He never let anyone take his photo. Anyway, I would be grateful for an update. Freddy passed this week, Thursday I think. There was a gofundme to give him a proper send off. Fully funded in a few hours. I heard that he has passed. He is FREE!!!! (Old Man Ocean and I in 2013; other photos circa 2008. 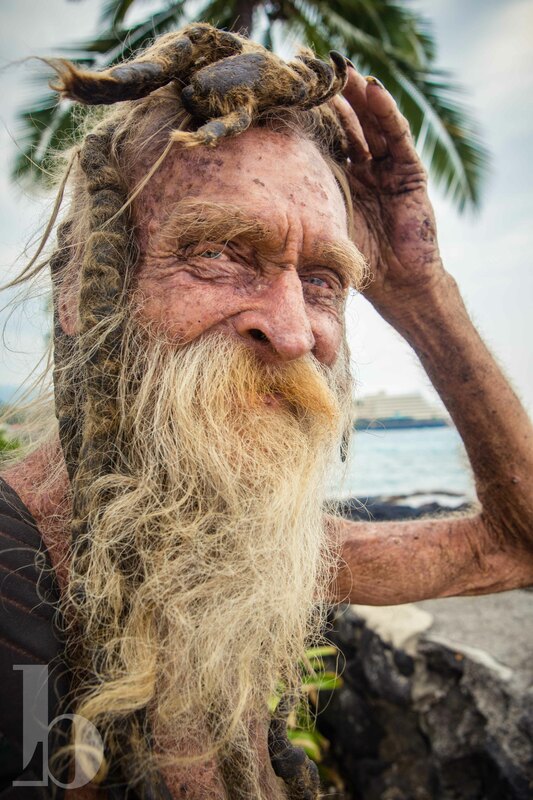 Link to 2013 blog post and photos in bio) The man I know and call Old Man Ocean, otherwise known around Kailua-Kona as Freddy, passed away this week. I had hoped I would get to see him again, but am very thankful and honored for the two times I was able to engage in conversation with him, in addition to the privilege of capturing his portrait both times. I'm learning much more than I knew about him through many talking about him on my blog post from four years ago and through emails from his friends – he seemed to be a generous and genuinely humble man. In his words, when asked why he was always by the ocean, "The ocean has a calming effect; it helps me to reflect on the good I've had in life, and it reminds me that with every breath I take there is a rhythm to my heart beat. When I was a young man, as long as I looked to the ocean, out past the horizon, I was reminded that I could accomplish more than I could dream of, with or without people's help. When there was a tree in front of my ocean view, it showed that there would always be obstacles on my journey, but there would always be a way to get through life…" God bless you, Old Man Ocean. Thank you for sharing some of your stories with me and the gift of your photos. Disappointed that you didn’t speak of his incredible history. I always laugh when people think he’s just some dead beat. He could live in a mansion and chooses the street. I think you did an amazing job telling his story. Thank you for sharing his photos and showing what a beautiful soul he had. One would assume from Maggie’s post that Old Man Ocean has passed away? A fascinating encounter with another part of our world. Thank you for for sharing his story. Saw this article on Facebook. My wife and I lived in Kona on and off during the past 20 years. 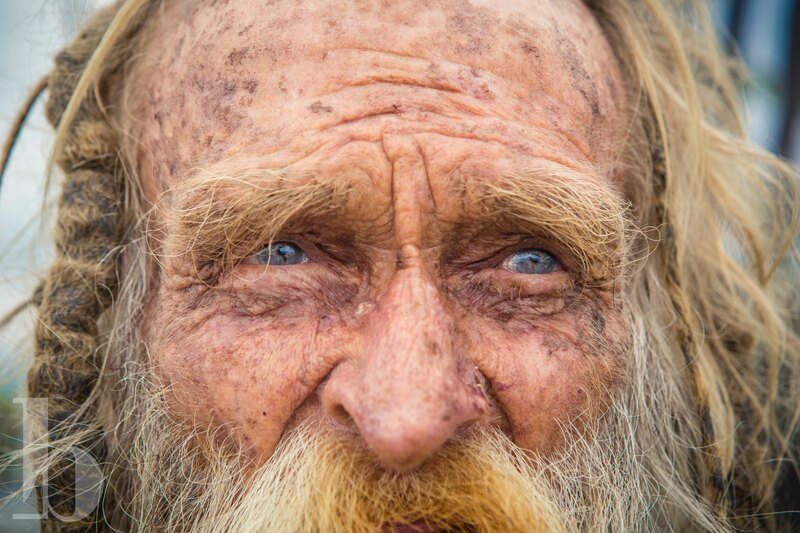 “Freddy” was one of the many homeless people that we saw on Alii Drive over the years. 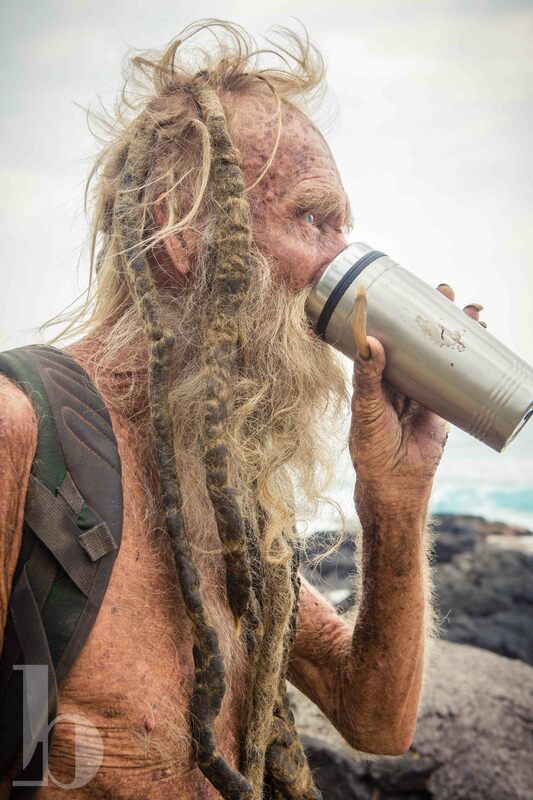 We’d usually see him leaving Lava Java with his morning coffee. Many years ago we met a woman at a garage sale with whom my wife sparked up a conversation after learning that they both had had careers in hospital work. The woman now worked as a volunteer at the county mental health department. 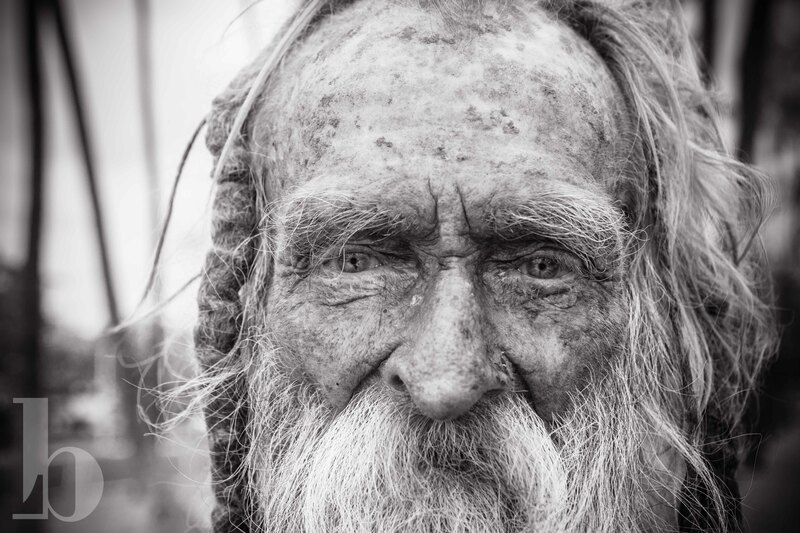 The conversation moved to a discussion of the many homeless souls in Kona…including the old man you write about. Apparently he is the son of actor Fred MacMurray…he of My Three Sons fame. I believe his actual name is Robert. We were told that Freddy never “recovered” after returning from the Viet Nam war. He lives off of a modest monthly trust administered by the health department…most of which he gives away to his fellow street people. We hope that he is well. Unfortunately much of what you heard is false. Freddie is his real name, born in TX and not to a television star. His family has been located and is working to care for his remains and honor his memory. Many mahalos for the pictures of Freddie..Old Man Ocean. I saw him often in the years I have lived in Kailua Kona, have said “Aloha’ or “Hello”, he has looked at me, but we have never spoke. 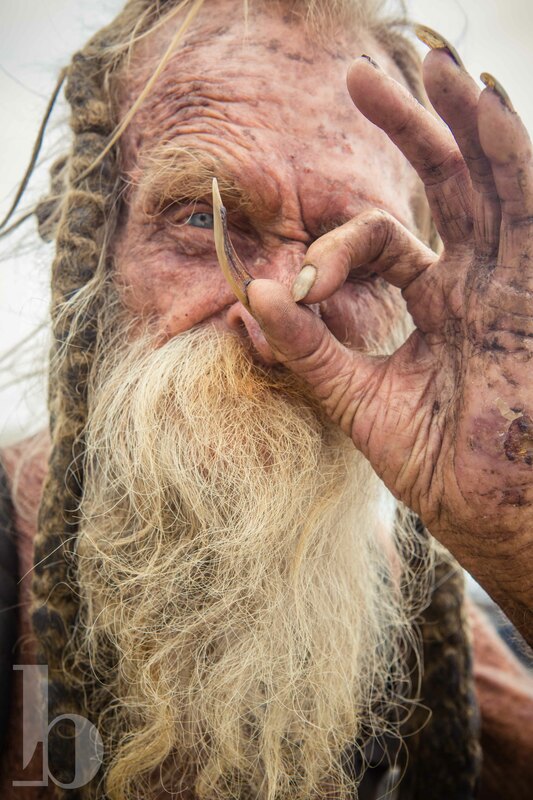 Now that he has passed on, I am so happy to have these photos of a most unique fellow…I hope his spirit is happy. My wife & I have visited Kona 7 times (averaging 10 days per trip). Every visit we couldn’t help but notice Freddy. We’d usually see him around Ali’i Drive in the mornings. I had never spoke to him, but at times felt that I wanted to. Not knowing his name until the fifth trip (We overheard an Island Lava Java worker call him “Freddy”), We would just refer to him as “Bill”. No trip really seemed complete until we saw him (mainly just to see if he appeared o.k.). He will be very sorely missed in future trips to Kona . . .
hey, this is incredible and beautiful… thank you so much for sharing – it truly moves my heart to hear of your encounter with him and his perspective on life. Would it be okay if I quote his words in an instagram tribute I will post later of him and I together? What a great story .Thanks for sharing and yes we sow him at Alii Drive must of the time. If he is related to Fred MacMurray, then one of his closest kin would be http://www.pressdemocrat.com/news/2260209-181/shes-the-perfect-spokeswoman-for. I hope this helps. He’s not related to Fred MacMurray. That son, Robert, owns a construction company in Honolulu. Freddie’s family has been found– his grandson Freddie E. Cranson III lives near Houston, TX. yes, in my conversation with Freddy in 2008, he said he was from Texas. A fellow DTS student Cameron Dowdy and I gave him the name “old man ocean” during our DTS in 2007. I believe his real name was Freddy. I just got news that he just passed away. He was always kind to me and always offered a beautiful smile with sparkling blue eyes. He most always had a book in his hand. I found him quite often in an out-of-the-way corner reading. I will miss him. Sorry Folks, but I need to dispel the rumor that “Freddy” is the son of Fred MacMurray. It’s just not true. Robert MacMurray, Fred MacMurray’s only son, is alive and well. He was aware of this rumor, but decided to let it ride, as it never affected him personally. Although he had seen “Freddy” around, he never confronted him about it. Robert expresses his condolences and hopes the punks who hurt Freddy get what they deserve. We returned to Kona in 1999 and have had many short encounters with him. I vividly remember him eating with those super long and curly fingernails. He had his warlocks/dreadlocks curled up on one side of his head and deduced that it was used as his pillow and we referred to him as “Pillowhead.”. We would look for him after going into town for dinner to give him the”to go” plate we always ordered to give to a homeless person on our way home. I am heartbroken over his passing and the way in which i it came about. How fortunate you were In your long conversation with him over 13 1/2 years I spoke only if you words. Rest in peace dear man you will be missed . This was the most beautiful thing I could have read, written for him. Unless you’ve actually spent time next to his side you wouldn’t be able to feel every moment of passing in your story. 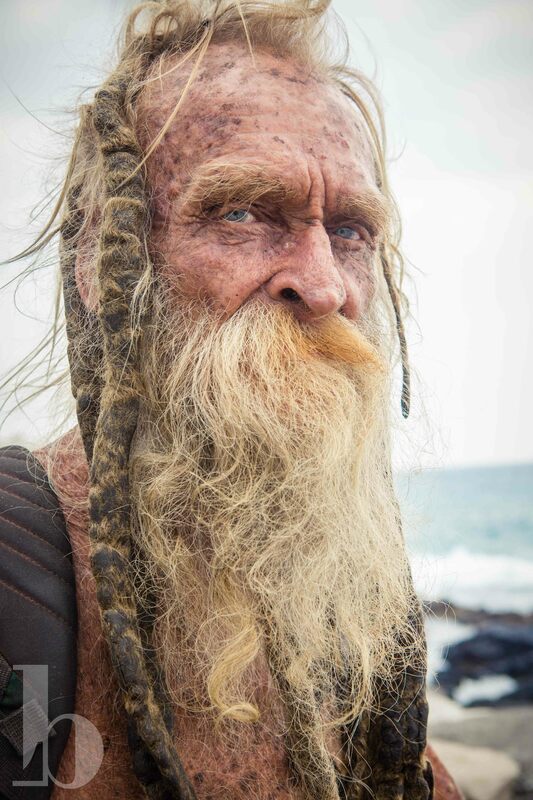 I’m so happy you got to experience such deep wonderful moments with “The Old Ocean Man” He was my favorite person here, every time I had a bad day, I wandered town looking for his soul! Thank you for this! I met Freddy almost 30 yrs ago. He has always been ancient, even then. that he lives so minimalistically. Seen on the Big Island of Hawaii during a vacation he had taken with his family. I always knew it had to be Freddy…. 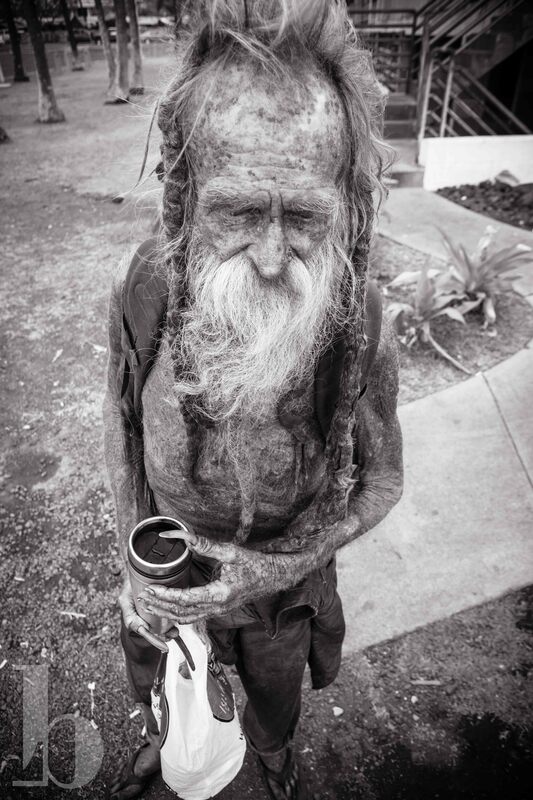 I lived in Kona for 7,years and often saw him around town. He kept to himself, and was nonimposing. I’m grateful for the time the author took to not only take his pictures, but to conversate with him. We all have a story to tell if someone takes the time to listen. thank you, Rosie, I appreciate your kind words and care for me receiving photo credit… I’m just thankful that his photos paired with stories from countless people are touching lives and comforting those who mourn his loss – that’s what matters. His portraits he was willing for me to capture are a true gift. Lindsey! Please contact me!!!! I am married to old man oceans grandson!!!! Please e-mail me at miz.forsaken@aol.com When I saw these photos I couldn’t breath!!!! Yes, I saw that post. Glad the mystery is solved. I like Old Man Ocean. Thank you for sharing him. I needed to see him and am so happy he exists. I remember him. I always called him “Castaway”. He reminded me of the movie with Tom Hanks.